Relatively lax minimum lending requirements. Innovative, ‘customer links’ available for new invoices. Very low minimums on 6-month loans ($500). Despite being a fintech, business customers can apply on the phone. Since loans are made by one bank, there’s concentration risk if it has financial troubles. Unclear pre-payment policy-important for higher rate, 6-month loans. Relatively new company; unclear how they’ll fare amidst a credit contraction. See above info for Kabbage Reviews. 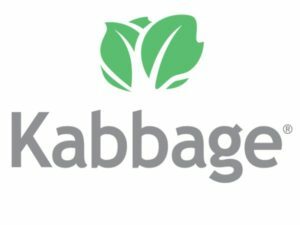 If you are a current or former Kabbage customer, we’d like to hear from you. How was your experience? Are you a repeat user? Kabbage is a financial technology (fintech) company with headquarters in Atlanta, Georgia. Since their founding in 2011, the company reportedly has provided funding for over 140,000 businesses with total funding in excess of $4.5 billion. Such loans have provided much needed net working capital to businesses nationwide. Their tagline is ‘small business funding for the real world’. As such, Kabbage provides financing designed to improve the cash flow conditions of businesses. These include business loans and lines of credit. Keep in mind-the company is not a direct lender. All Kabbage business loans are provided by Celtic Bank, a Utah Chartered Industrial Bank that is FDIC insured. * The loans are structured as either 6-month or 12- month installment loans, each with their own loan agreement and monthly fees. Minimum requirements to obtain a loan are quite forgiving, just $50,000 in annual revenues and been in operation for at least one year. When a business visits Kabbage they can fill out a single application and gain preliminary approval for business loans, subject to final credit approval. This can be done through their website, app, or over the phone. They advertise funding as quickly as same day. Fast business loans are clearly a priority at Kabbage. The Kabbage reviews we found were overwhelmingly positive, although there were a handful of unhappy customers. But these bad reviews were definitely the minority. One thing we uncovered that needs more clarification is the prepayment policy. We read a few places how there was no penalty for prepayment but we found one footnote on their site that indicated prepayment penalties were waved for 6, 12 and 18 month term loans originated prior to June 30, 2018. So, we’re not sure if there are other products that currently have no prepayment policy or that benefit is over. How is Kabbage Different from Other Factoring Companies? Kabbage is not an invoice factoring company per se, but they can accomplish similar goals as a factor. Their financial innovation allows them to offer a service that can mitigate the cash flow shortages B2B entities with resulting from late-paying customers. Kabbage offers a pretty ingenious way to reduce the amount of time you’ll wait on payment from outstanding invoices. Once your small business partners with Kabbage, they will generate a customized link which you can place upon an outgoing invoice. When your customer receives the invoice, they can access a loan from Kabbage to pay YOUR invoice and other working capital uses. They have access to up to $250,000 (subject to a credit check by Kabbage), also with a single monthly payment schedule. The bottom line is that you get paid faster, allowing you to focus on running your business. This could be an extremely valuable resource if credit conditions tighten and your customer (the account debtor) is having financial issues themselves. This can also reduce the factoring fees you may be charged while improving your cash flow as well. It also removes some of the stigma associated with factoring invoices and puts the pressure on your customer for prompt payments. It’s a win-win situation. Many small businesses that come to Kabbage for working capital loans have poor credit or no credit. A similar business customer approaches the factoring industry. Bad credit business loans often come with high interest rates, fees and personal guarantees from the business owner. But B2B operations can still factor outstanding invoices for funding, without incurring costly debt. · Relatively lax minimum lending requirements. · Innovative, ‘customer links’ available for new invoices. · Very low minimums on 6-month loans ($500). · Despite being a fintech, business customers can apply on the phone. · Since loans are made by one bank, there is risk if that bank has financial troubles. · Unclear pre-payment policy-important for higher rate, 6-month loans. · Relatively new company; unclear how they’ll fare amidst a credit contraction.